In cocktail terms, the word "perfect" typically means that the drink will include equal parts of both dry and sweet vermouth. That's exactly what you'll get in the perfect martini and it's a fabulous drink for anyone who loves gin. This recipe is the "perfect" version of the classic gin martini. You can also mix up a perfect Manhattan, while other "perfect" cocktails go by other names such as the affinity, which features scotch. And yet, the perfect martini is the most popular of them all. It's an ideal drink for dinner or anytime you want to celebrate that perfect pairing of gin and vermouth. Pour the ingredients into a mixing glass with ice cubes. Garnish with an olive or lemon twist. With just three ingredients, it's important that you pay attention to quality if you want the best perfect martini. Any drink like this deserves the best bottles you can afford, so be sure to pour the good stuff for this recipe. Like any martini, the gin is going to make or break your perfect martini. This is not a time to be cheap, though you also don't have to spend a ton of money. Good, well-rounded bottles of gin like Beefeater, Bombay, and Tanqueray are solid gins that you can always rely on for a great drink every time. Cocktails like this are also perfect for exploring a gin you haven't tried before. It's a recipe that you can come back to whenever you pick up a new craft gin, for instance. The martini's clean profile really allows you experience each gin's unique blend of botanicals without a lot of fuss or extra flavors. Generally, a classic London dry gin is used in a perfect martini. These have a flavor profile that is very juniper-forward, and that "pine" flavor can throw some drinkers off. There's great news, though. Today, you can find many gins that lay off the juniper and allow other flavors to take center stage. For example, Oxley English Dry Gin has a softer juniper flavor that is accented with citrus and the floral herb meadowsweet. You might also enjoy the floral aspects of Aviation Gin or the lovely bouquet of a gin like Bloom with its chamomile and honeysuckle. 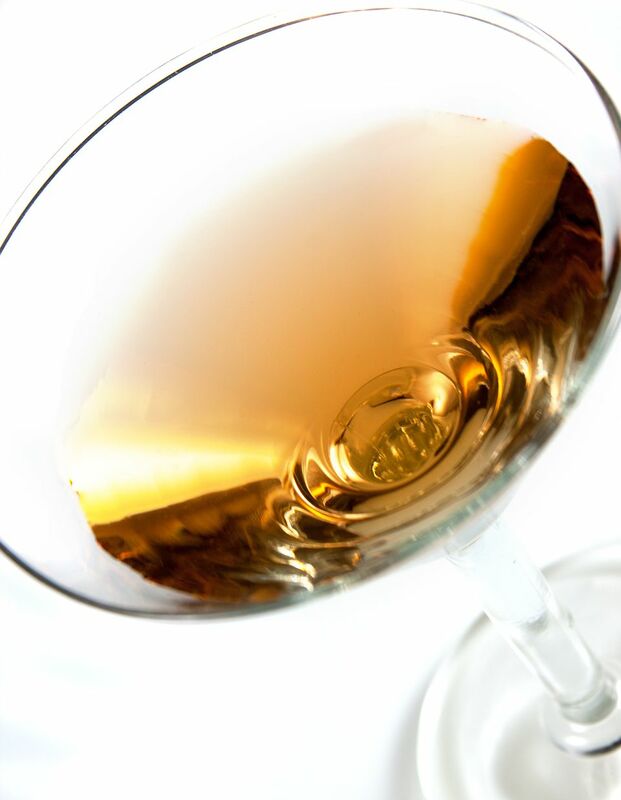 Just as important as your gin, the bottles of vermouth that you choose can seriously enhance your perfect martini. It's tempting to discount the fortified wines and pick up inexpensive bottles, but there are some great vermouths worthy of any bar. Look for bottles such as Carpano, Cinzano, Noilly Prat, and Vya. Also, don't be afraid to explore unknown names because there are many smaller producers who are making some very impressive options. How Strong Is the Perfect Martini? Martinis are not weak drinks. They may look all neat and fancy, but they're made with alcohol alone and that tells us that these are some pretty strong cocktails. On average, with an 80-proof gin and 15 percent alcohol by volume (ABV) vermouths, you can expect your perfect martini to weigh in around 27 percent ABV (54 proof).